Bill Hennessey, MD, is the CEO and Founder of Pratter, a medical cost savings and transparency company. 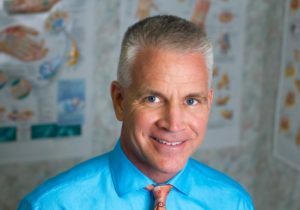 Dr. Hennessey is both an MD and a serial entrepreneur, a practicing physician for 25 years and a founder of a medical billing company. Dr. Hennessey has been front line in the trenches to bring this one-of-a-kind reality. Pratter is the only healthcare service that empowers consumers and their self-insured employers with truly transparent “know before you go” pricing for outpatient medical care. Pratter is independent of all health insurance companies and therefore 100% loyal to employers. His passion is to fight for everyone to have affordable access to medical care. Pratter (meaning “price matters”) is America’s medical cost savings company via cost transparency helping millions save billions. We guide employees to lower cost in-network care. Pratter identifies, itemizes and targets high cost commodity care items for savings via its employer interactive cost driver dashboard. All employer claims data becomes searchable on pratter.us by zip code with “know before you go” pricing. Self-insured employers own their medical bills. We leverage them to create savings and transparency far beyond what an insurance company would ever offer. Our scalable IT platform is supported by a medical biller-staffed cost concierge service. Sold as an employee benefit with PEPM pricing. Medical Travel Today (MTT): Tell us about your professional experience and how you got involved with Pratter. Bill Hennessey (BH): As an entrepreneur and MD, I would have it no other way than private practice. Doing my own billing as well as the billing on behalf of other physicians billing taught me how to fight against the system rigged against the healthcare consumer, including claim denials and surprise medical bills. I came to understand the medical billing game played by hospitals and insurance companies. Especially when you are in hospital for a critical condition, the last thing you want to think about is your medical bills. In life, you never know what will happen. Sometimes, the patient unfortunately doesn’t make it through and the family are then left to deal with funeral arrangements, as well as the bills. Not everyone is able to pay this off, which is why the idea of getting life insurance is always important. If you are not familiar with this, why not look into sites like www.moneyexpert.com, where you will notice that having the right insurance will benefit different sectors of the lives of your family and yourself. Death isn’t the most exciting topic to speak about, but it has to be done. Plus, I’m sure you’ll want to leave something for your loved ones when you are no longer with us. One day in early 2014, I had enough patients, family members and friends complain that healthcare costs were so high they could only afford the premium or the deductible – but not both. Putting food on the table became an issue – an issue that should not exist. Therein led to the development of Pratter, which means “price matters” – it pratters. It was time to serve others in a larger capacity and use my skill sets to create affordable access to care for all working Americans. Known pricing for medical care does just that. MTT: Can you provide our readers with some background on your company? BH: Pratter recognized that routine outpatient care comprised the majority of the medical spend for most households. The type of care we know is shoppable, and where big money can be saved, is in the categories of blood work, imaging and surgery center procedures. The beauty of outpatient medical care is that it can be itemized. Each medical care item has a five-digit unique billing code assigned to it, such as a two-view chest x-ray. lipid panel or a carpal tunnel release. A medical bill is coded to reveal a medical cost per test. We leverage this knowledge to display the real cost of care on pratter.us, with our search engine by zip code where we name names of medical providers and their pricing per care item. MTT: Tell me where you are and what your focus is – is it direct to consumers? Is it business to business? How are you operating? BH: Our focus is on self-insured employers in a business-to-business model. Self-insured employers pay their medical bills. They own their medical bills. We leverage them to help the employer and its employees save money on medical care. Each employer dataset helps create the network effect. The cost data is shared among all companies so they benefit from each other. Pratter will pursue the fully insured market next and then the individual consumer. With this approach, we can keep our initial per customer cost acquisition cost low until we reach the critical mass to scale. MTT: So Pratter helps employees and employers save money, how do you do that? BH: Each self-insured employer receives our proprietary, ERISA compliant medical cost savings analysis where for the first time ever, their medical cost drivers are identified by medical test name, itemized by medical provider name and then targeted for savings. Each employee receives a username and password where as an individual or as a family they have unlimited access to search for medical care by zip code and to call our medical biller-staffed cost concierge. We also create savings cards for wallets and purses to help steer consumers to low cost medical providers in their neighborhoods. MTT: What fees are associated with your service? BH: We have a modest PEPM (per employee per month) fee. We have created a scenario where even a 3 percent rate of employee engagement Pratter pays for itself. MTT: How does your revenue model work? BH: We partner and share revenue with benefit advisors, independent health plan TPAs, stop loss carriers, cost savings companies, wellness plans and non-profit organizations. Our select channel partners are loyal to employers just like us. MTT: Are your services available nationwide? Internationally? BH: Our services our available throughout the U.S. We have cash and insurance pricing throughout the US for three national blood work chains with over 4,000 locations. We also have guaranteed pricing for 1,000 independent imaging centers throughout the US. We have pricing online for over 12,000 medical facilities and growing. Each self-insured employer dataset is leveraged to service that particular client. Their data is provided to them on a user-friendly silver platter. We are not a good fit for employers in deep rural America where there are not enough choices for care to create savings. We do not provide international service or data at this point. We do envision known pricing on our platform creating travel medicine. For example, we offer Pratter price tag guarantees to medical providers that provide us a “never pay more than” price tag that is similar to what insurance companies pay them. This is marked with a price tag icon and will offer the travel medicine recipient peace of mind for known pricing and great care here in the U.S.
MTT: Why do you feel your approach to transparency through healthcare is better than others? BH: We are the only company in our space that publishes the real cost of care and names the names of the medical providers. If your claim is denied this is your bill. It represents your maximum financial risk. 20 percent will owe the charge price when the claim is denied. The claim allowable is the real price to be paid at what the carrier has negotiated. This is what you will owe if you have a high deductible. Our goal at Pratter is to eliminate the surprise medical bills that we have all received. The needle will never move on medical cost transparency until the real cost of medical care is revealed to all people. The real pricing model (not fake out-of-pocket estimates) has worked well for Amazon, eBay, Priceline and Expedia. We aspire to the same. MTT: Do you know of any competitors? What sets you apart? BH: We have three main competitors – Castlight (Anthem partner), Healthcare Blue Book (Aetna partner) and health insurance company tool estimators. Independence from all health insurance companies sets us apart. This enables us to be 100 percent employer loyal and perform our medical cost savings analysis that the carriers and Truven cannot. This allows us to show the real price paid per medical care item and name the names of the medical providers. Our cost concierge provides any and all answers without obstruction. BUCA (Blue Shield, United, Cigna and Aetna) stock is up 350 to 750 percent since the ACA. As per the ACA, BUCA gets to keep 20 percent of revenues as profit. Aetna stock is up 300 percent in the past five years. They haven’t lowered employers’ medical spend. If they lowered employer medical spend, they would lose money. contracts with known pricing to the cent. BUCA has a fiduciary responsibility to its investors – not the employers. Employers need to demand better. Pratter’s knowledge of the intricacies of medical billing is second to none. Our full understanding of the medical ecosystem from being insiders and on the front lines is invaluable to our clients. We have also been partnered with some of the brightest IT minds in an IT-rich Pittsburgh. These levels of expertise combined with a customer first approach also set us apart. BH: First of all, we are no longer “patients.” We must pay out-of-pocket for our medical care. We are now health care consumers. We have thousands on our platform now and have lined up national channel partners entering 2018. We don’t want to work with all employers – just the ones complaining about high healthcare costs. MTT: Where do you see this industry going, from your perspective? BH: There will be known pricing for medical care as employer and employee consumers who pay for care demand it. Known pricing creates smart shopping. Known pricing creates competition. And with competition, the consumer wins every time with lower pricing. Known pricing will also eliminate PPO network fees. Why pay access for a network that has a different price for the same care in-network? Why pay for access to a network when the pricing is already known? We don’t belong to grocery store or gas station PPOs since they have known pricing. Lastly, employers are demanding and will receive a much more comprehensive solution for their health plan expense and service. There are four buckets of care including 1) outpatient (Pratter), 2) inpatient (auditing firms), 3) pharma (specialty and regular pharmacy benefit management) and 4) doctor visits (telemedicine, on-site clinics and direct primary care). The first health plan to integrate all of these solutions seamlessly will win employers over and gain significant market share. It is going to happen sooner than you think. BH: Yes. There is hope. Known pricing will create happy, healthy employees, greater take home pay with less spent on medical care and more monies to fuel company growth. As we scale, the more employers we have on our IT and service solution platform, the more employers and employees will benefit as all pricing is shared among all employers, creating the network effect. A collective voice now exists for all those who care about affordable access to medical care.